Recently my lovely boyfriend treated me to an OPI set. We took a walk around his town and found the cutest OPI shop with 20% off everything!! What a little gem! After taking a while to choose, I fell in love with this set, Serena Glam Slam. They have a few colours paired up for this collection, but this is the pair I wanted! 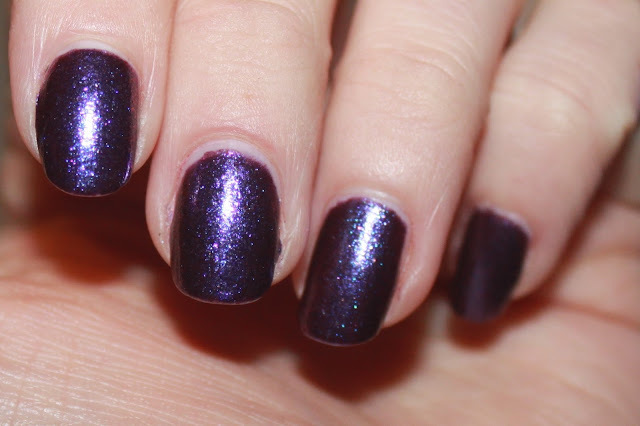 I loved how sparkly and gorgeous one varnish was, and how beautiful the purple varnish was. On the left is Grape...Set...Match which is a deep purple full of fuchsia and blue shimmer. 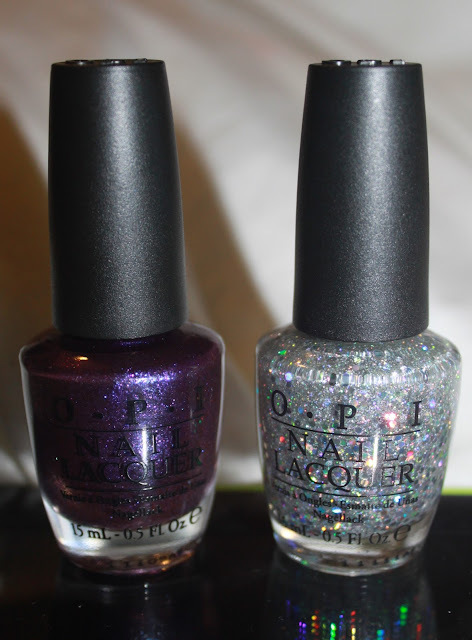 On the right is my favourite, Servin' Up Sparkle. This sparkly number is packed full of small silver sparkles, and silver hex glitter that has a rainbow shine - It's to die for! 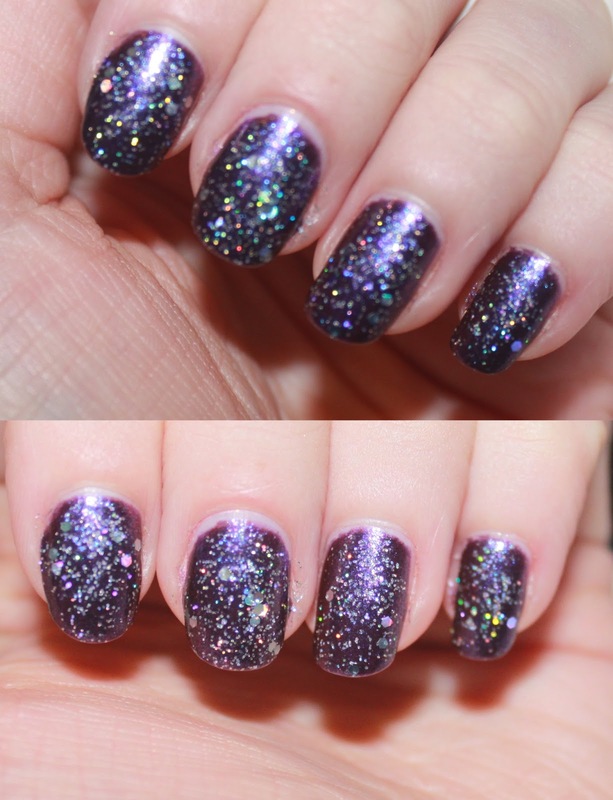 This sparkly varnish is perfect for a top coat on all nails, or just the one, it's even perfect on it's own! Here's Grape...Set...Match by itself. I love this colour. It's such a pretty deep purple, and it looks lovely on its own. And this is where the magic happens! The glittery coat transforms the look completely. It looks magical and gorgeous! I love these two shades together, it really is a match made in heaven! You can get these Glam Slam sets in selected boutiques, or on Ebay. Be careful when purchasing on Ebay as some supplier sell fake products. Don't be afraid to ask the seller any questions. Thank you for reading!